Dodgers has the good fortune to count not one but two Matt Taylors in its squad. Matt the Elder has been a regular for many years, but the sudden arrival of babies has restricted his appearances for us in recent seasons. Matt the Younger has come across from Putney CC on occasion, and will hopefully be persuaded to continue doing so. 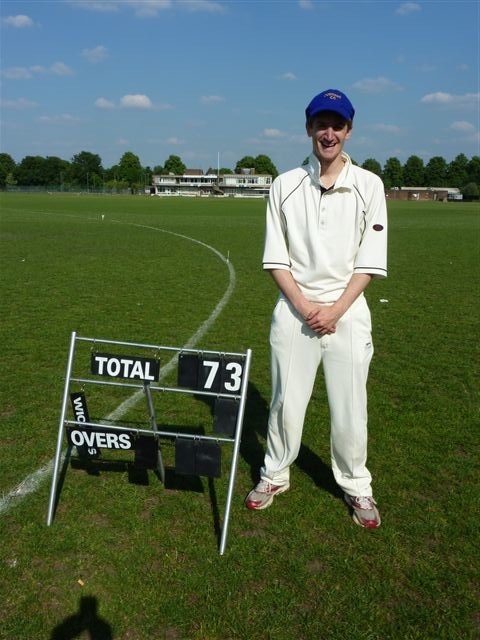 In lieu of any better photographic evidence, here is a picture of the Elder from back in 2010, when he had done particularly well against the Weasels.